The book is great but the story can be slightly scary at times. The story itself is ingenious and the characters are captivating but the topic is a bit unnerving. 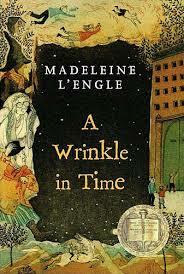 I liked the way that Madeleine L’Engle wrote the story because it had lots different things going on at the same time. She also didn’t add filler and she restrained from revealing information until it was absolutely necessary. Meg Murry is a girl who has never excelled in school. Her grades are terrible and it doesn’t help that the principal dislikes her. Meg gets sent to the office every day for saying one thing or another. Her brother, Charles Wallace Murry is a genius but he refrains from talking and acts like he is dumb to avoid attention and to not be treated different. When Charles Wallace says that he has befriended a lady called Mrs. Whatsit, Meg and Mother are sure he has made her up.